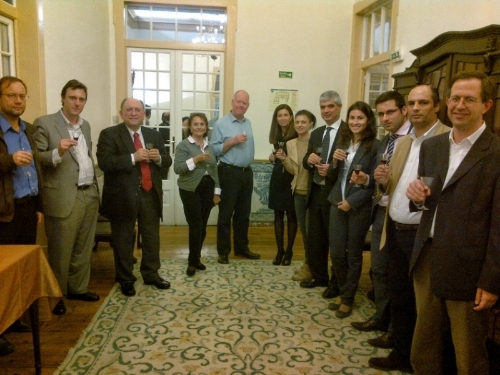 Coinciding with the launch of the CINet project in November 2013, a kick-off meeting, organised by the Universidade Aberta, was held in Lisbon, Portugal, on the 14 th and 15 th November. The first CINet meeting allowed the partners to present their work packages; constructively discuss the key competencies and attributes of a successful creative entrepreneurship network; and worked out an action plan for the next project steps. After the kick-off meeting, José Porfírio, CINet’s Project Coordinator and Assistant Professor of Universidade Aberta’s Social Sciences and Management Department, said: ‘By joining institutions with the characteristics of those that are partners of CINet project, and putting together landmarks like Entrepreneurship, Creative Industries, Distance Learning, and Networking, I believe that this project shows the necessary ingredients to become a must within Leonardo da Vinci Transfer of Innovation set of projects approved by the European Commission for the next two years, becoming an inspiration for other future entrepreneurial projects within EU’. The Lisbon meeting was attended by José Porfirio, Tiago Carrilho, Carlos Pinho and Marc Jacquinet (from Universidade Aberta), Petter Totterdill (from UKWON), Inma Rodríguez-Ardura (from UOC), Josep Hassid and Poppi Christopoulou (from UPRC), Andreea Panaitescu (from AESD), Marco Fernandes (from DNA Cascais) and Louis Solomou (from Media Deals).